Chronographs differentiate themselves from conventional three-hand watches by their stopwatch function. 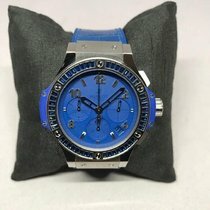 This type of watch has a unique, functional design characterized by subdials and push-pieces, which many buyers find attractive. Watches with a chronograph function are first and foremost sport watches. They were designed for use in sporting events. During track and field, swimming, or car racing competitions, events need to be accurately timed to determine a winner. The most modern technology takes care of this at the professional level, but it's still useful for amateurs to have a chronograph on hand for timing. Furthermore, this kind of watch is appealing to many buyers who simply appreciate a more technically-oriented timepiece. The chronograph isn't just limited to use in athletics, though; you could also use it to time while cooking to know when your pasta is al dente and ready to eat. Some watch manufacturers have made a name for themselves with their efforts in developing chronographs, such as Breitling or TAG Heuer. Breitling is responsible for the typical design of modern chronographs. In 1934, the company introduced a watch with a chronograph function and push-pieces above and below the crown. The layout was successful and quickly spread to other manufacturers. You begin timing by pressing the push-piece above the crown. When you push it a second time, it stops. If necessary, you can push it a third time to start it again. You can set the stopwatch back to zero by pressing the push-piece under the crown. Almost all modern mechanical chronographs function in this way. The hands of a chronograph are organized according to a certain pattern. The largest difference between a chronograph and a conventional three-hand watch is that chronographs generally lack a central second hand. A chronograph's large second hand usually rests at 12 o'clock. When you push the top push-piece, it starts moving, timing seconds. Once you're done, you press the bottom push-piece to set the second hand back to zero. The second hand that is constantly in motion, known as the small seconds, is located on a subdial elsewhere on the chronograph. Most chronographs feature the small seconds subdial at the nine o'clock position. Another subdial at 12 o'clock, the 30-minute counter, keeps track of timed intervals up to 30 minutes. Yet another subdial at six o'clock, the 12-hour counter, records even longer intervals up to 12 hours. The date display is located at three o'clock. Most watches with this dial layout and these timing functions are powered by chronograph calibers, such as the Valjoux 7750 from the world's largest ébauche manufacturer, ETA. Chronographs powered by other movements often have a layout of subdials at three, six, and nine o'clock. This V-shaped design is called Tricompax. The Valjoux 7750 powers several chronographs from prominent manufacturers, such as the diving watch Longines Hydroconquest and the pilot's watch Sinn 103. Breitling, Hamilton, and Tissot also use this automatic movement in various models. It premiered in 1973, but wasn't an instant success. It first became popular after the Quartz Crisis was resolved. Since then, the Valjoux 7750 has been used in millions of watches. It's affordable to produce and runs reliably at 28,800 alternations per hour (A/h). Moreover, it's certified precise by the Official Swiss Chronometer Testing Institute (COSC). Its power reserve lasts around 44 hours. There are many variants of the 7750, such as a manual version or ones with complications such as a moon phase indicator or a flyback chronograph. Due to its precision, the caliber is able to measure 1/8th of a second. The El Primero from Zenith beats even faster. At 36,000 A/h, it can measure 1/10th of a second. Zenith introduced this famous high-frequency caliber in 1969. In the same year, Calibre 11 was released as the result of a collaboration between Heuer, Breitling, Büren, and Dubois-Dépraz. The movement powered the first Monaco from Heuer and ran at 19,800 A/h. This allowed the watch to measure 1/5th of a second. The Japanese company Seiko released their caliber 6139 around the same time. Together, these calibers made 1969 a milestone year in watchmaking history. Today, it's still debated which automatic chronograph caliber can be considered the first. Do you need a stopwatch every now and again? Look no further than a chronograph. Watches with this extra feature are available in almost every price range. These "time recorders" - a literal translation of chronograph - have technical appeal. They're predominantly men's watches, as the Valjoux 7750 caliber is quite large and not suitable for a classic women's watch. Generally, chronographs powered by the reliable Valjoux 7750 caliber are less expensive than watches with rarer or in-house movements. These watches start around 1,000 euros. Even more affordable are chronographs powered by quartz movements. They're available in the three figure range from brands like Citizen. 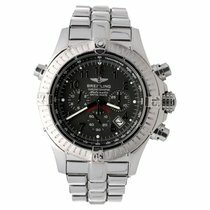 Some quartz chronographs are more expensive, however, such as the Breitling Superocean Chronograph M2000, which runs between 3,000 and 4,000 euros. This diving watch is waterproof to 2,000 m and its patented push-pieces can even be used underwater. Manufacturers strongly advise against using the timing function of a mechanical chronograph underwater. For a little less than 3,500 euros, you can get one of the most famous chronographs in mint condition: the legendary Moonwatch, Omega's Speedmaster Professional. In July 1969, it became the first wristwatch on the Moon. The Apollo 13 astronauts also used this watch to perform a course correction of 14 seconds, helping them safely return their damaged spacecraft to Earth in April 1970. 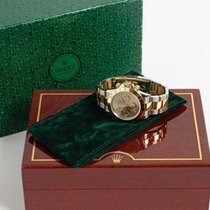 No less famous is the Rolex Daytona, named for the race track in Daytona Beach, Florida. Race car drivers received these watches as victory trophies for the first time in the 1960s. A stainless steel Daytona in very good condition costs a little under 10,000 euros. A new gold model costs over 20,000 euros. A platinum version with diamonds can raise the price tag to over 100,000 euros. Do you prefer a square watch? The square TAG Heuer Monaco made its film debut on the wrist of Steve McQueen in the 1971 film Le Mans. Since then, it's been competing with the Daytona for the reputation of the best racing watch. You can buy a new Monaco Calibre 11 for 3,500 - 4,000 euros. More TAG Heuer chronographs are available in their Carrera series. The Omega Speedmaster, Rolex Daytona, and TAG Heuer Monaco were all designed as timepieces for the race track. If you prefer a pilot's chronograph, then the Breitling Navitimer is a good choice. It goes one step further: in addition to the stopwatch function, it has a slide rule which you can use to do basic calculations. You should be prepared to spend around 5,000 euros on a new stainless steel Navitimer. Another pilot's chronograph is the IWC Double Chronograph, which starts around 9,000 euros. You can use a double chronograph, such as the one from IWC, to measure two separate events of different lengths. This type of chronograph is easily recognizable by its third push-piece, which controls an additional second hand. Normally, this extra hand runs with the normal chronograph second hand. However, when you push the push-piece, it stops, while the other second hand keeps running. Push the push-piece again and both hands are reset to zero. This complication is also known as a rattrapante or split-seconds chronograph. Another modification to the usual stopwatch function is the flyback chronograph. You can start, reset, and restart timing with just one push. Usual chronographs require you to push a button three times. The flyback chronograph has its origins in military aviation. If pilots have to make multiple course changes within a fixed amount of seconds, then the process of pressing a button three times is too slow. Many chronographs are also equipped with a tachymeter scale. It's usually found on a fixed bezel and allows you to calculate kilometers per hour. For example, say you drive 1 kilometer. You start the chronograph function as you begin driving and stop it once you've driven a kilometer. The chronograph second hand will be pointing to a number on the tachymeter scale, signaling the speed in km/h. Less frequently, you'll find a chronograph with a telemeter scale, a complication which calculates the distance to an event which can be both seen and heard. For instance, if it's stormy and you see lightning, you can time the interval between the lightning and thunder. When you stop timing, the second hand will be pointing to the distance of the storm on the scale. So, if there was an interval of 12 seconds between the lightning and thunder, then the storm is four kilometers away. This can be useful in the military for determining how far away enemy cannons are by timing the interval between when the cannon explosion is seen and when it is heard. Thirty-nine seconds, for example, means a distance of 13 kilometers.